Roughly 580,000 high school students used steroids in 2007, according to a Centers for Disease Control and Prevention survey. Many of them were athletes. In Part Two on Wednesday of her report on an Early Show investigation, CBS News correspondent Kelly Cobiella says many of the high school athletes know the steroids they use to try to bulk up and enhance their performance are illegal. They're ingesting what they think are perfectly legal supplements. 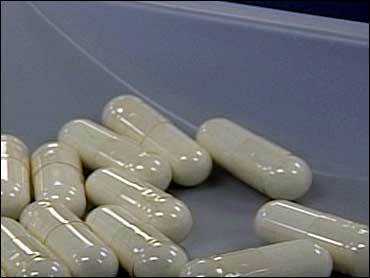 Instead, says one expert interviewed by Cobiella, the pills are really steroids masquerading as supplements. The expert adds, "I want parents to know that these are highly dangerous anabolic drugs. ... They make you big and strong, but underneath, they cause all kinds of problems." Cobiella pointed out that certain words buried in the fine print of such substances could tip off potential purchasers to their actual contents.